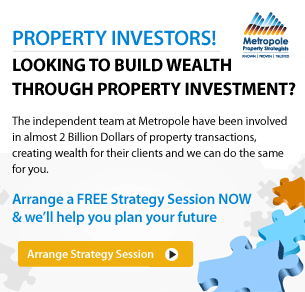 The Queensland economy is picking up and this is good news for our property markets. Each month ANZ Bank report on 16 economic indicators in their Stateometer. 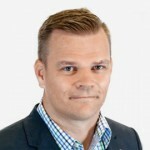 Economic rebalancing is continuing slowly throughout Australia despite a downturn in resource construction, according to ANZ’s latest ‘Stateometer’, with Queensland a big improver among the states. The September reading shows the services sector is doing a lot to assist the broader Australian economy and has helped lift employment conditions not only in Queensland but also in New South Wales, Victoria and Tasmania. 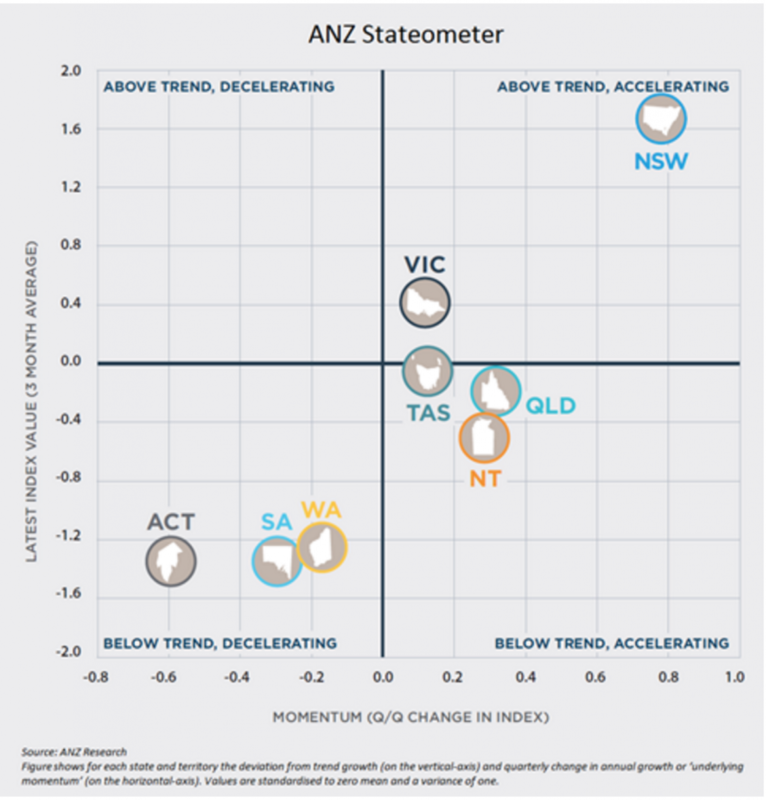 These states are, by no coincidence, showing the strongest economic performances on the ANZ Stateometer. The largest state is trumping all others, with the NSW index at a record level. The upswing in residential construction and sharp depreciation in the currency are supporting activity, particularly in Sydney. Residential construction has and will continue to be important to supporting employment in construction and several services industries. Commercial construction outside of mining should also play a greater role for some states, with the outlook for non-residential construction looking better in some sectors such as tourism and government-backed infrastructure. The results indicate NSW may be approaching the top of the business cycle. This isn’t bad news; we expect economic activity to remain above trend for some time. How the economy adjusts to the cooling housing market and slow-down in residential construction will be the key to future growth momentum.